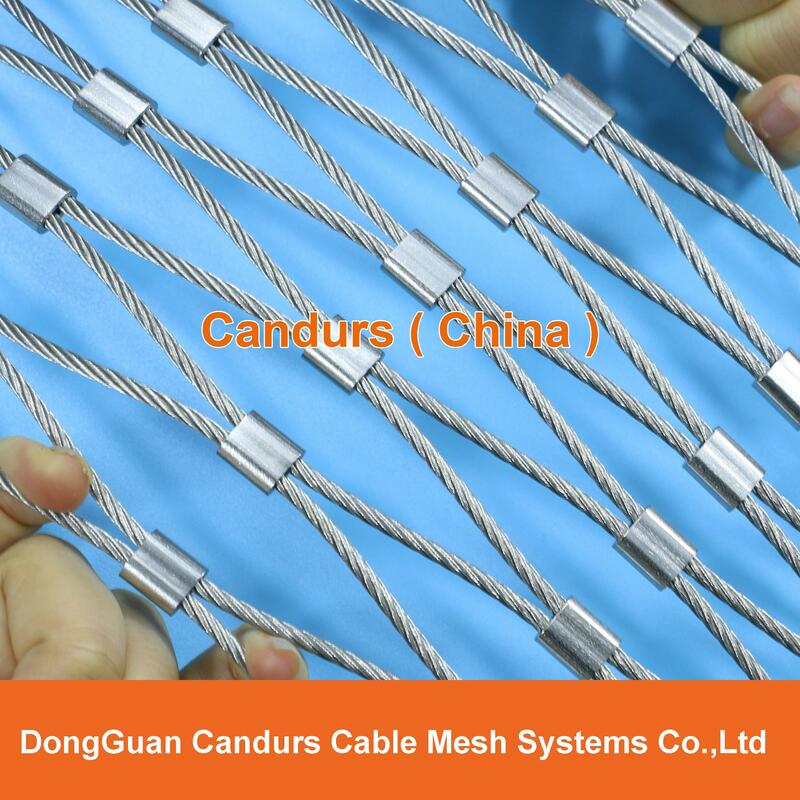 China AISI 316 Flexible DecorRope stainless steel rope mesh staircase Factory,customized SS cable mesh height and length .OEM service, Quick delivery.0 complain. 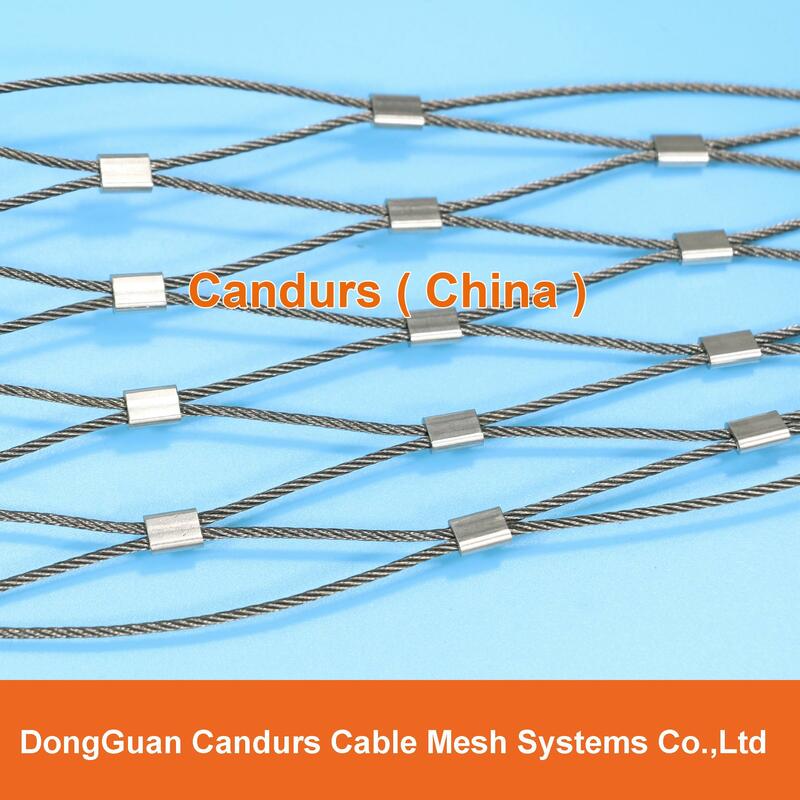 Wire Rope : Available AISI 316 stainless steel cable (Option : AISI 304 ) ,high tensile strength,bright,wear and abrasion resistant. DecorRope stainless steel rope mesh staircase has their characteristic property and capacity to replace other steel wire mesh in certain applicationa.Sometimes better. Total pro-environment,recyclable,no toxic,non flammable,Maintenaance free,don't ask any special cleaning & coating. Supplied Square panel shape, Rectangular panel shape. 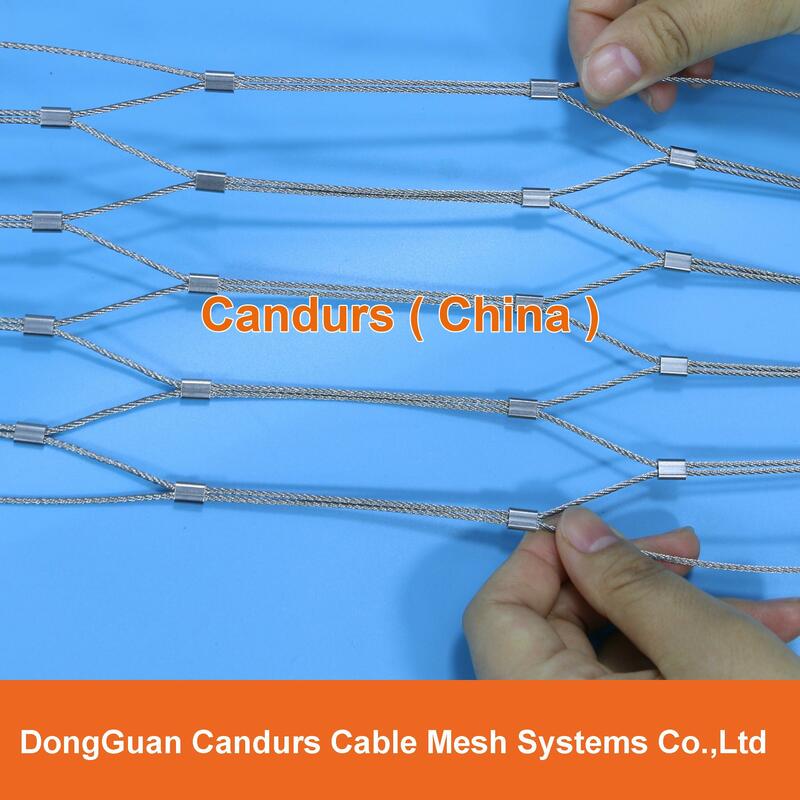 Rhombus panel shape, Triangular panel shape, circle panel shape,and other art shape.Customized net height and length. 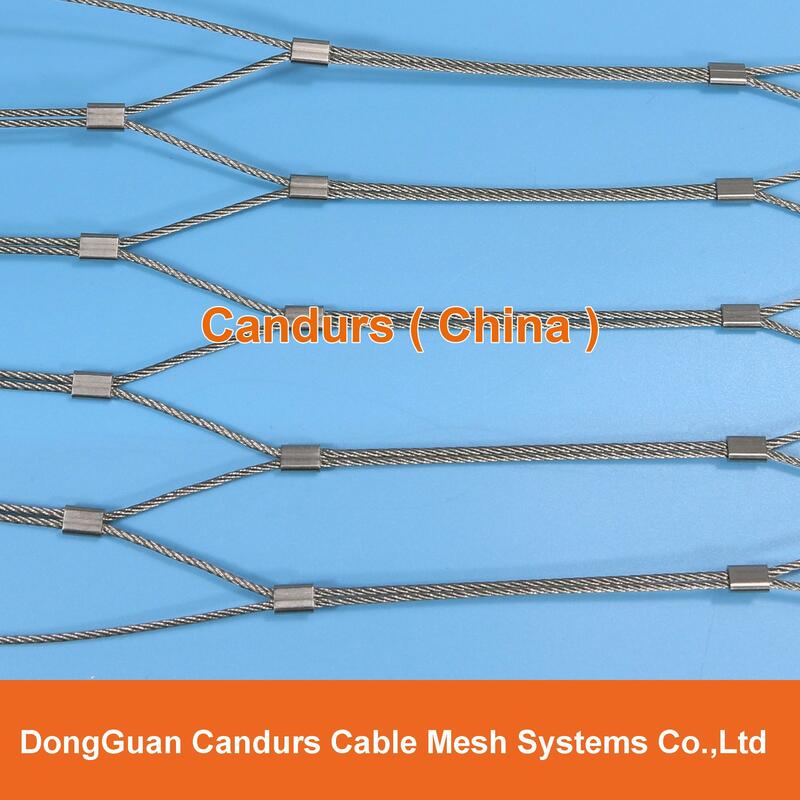 DecorRope stainless steel rope mesh staircase is main installed on tube frame, perimeter cables or wire rod with special border design Available 30 type different border plans to meet different install required. Façade screens, Railing mesh infill panel, Balustrade mesh infill panel. Balcony mesh infill panel, Bird netting, Security platform fence. 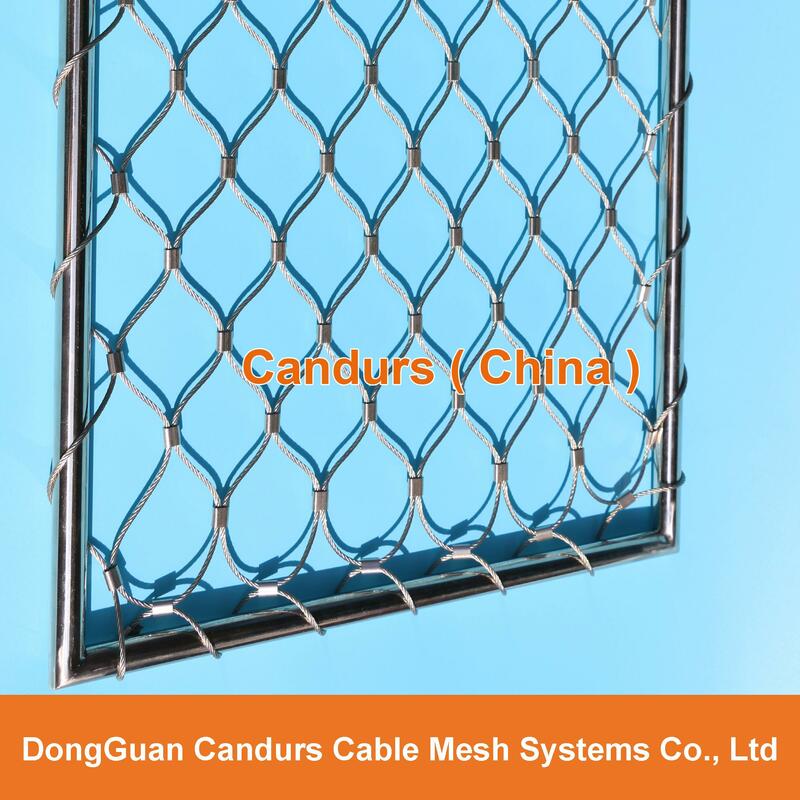 Isolate fence, Garden fence, Zoo mesh, Animal enclosures net etc. 5. Nets height and length,Quantity. 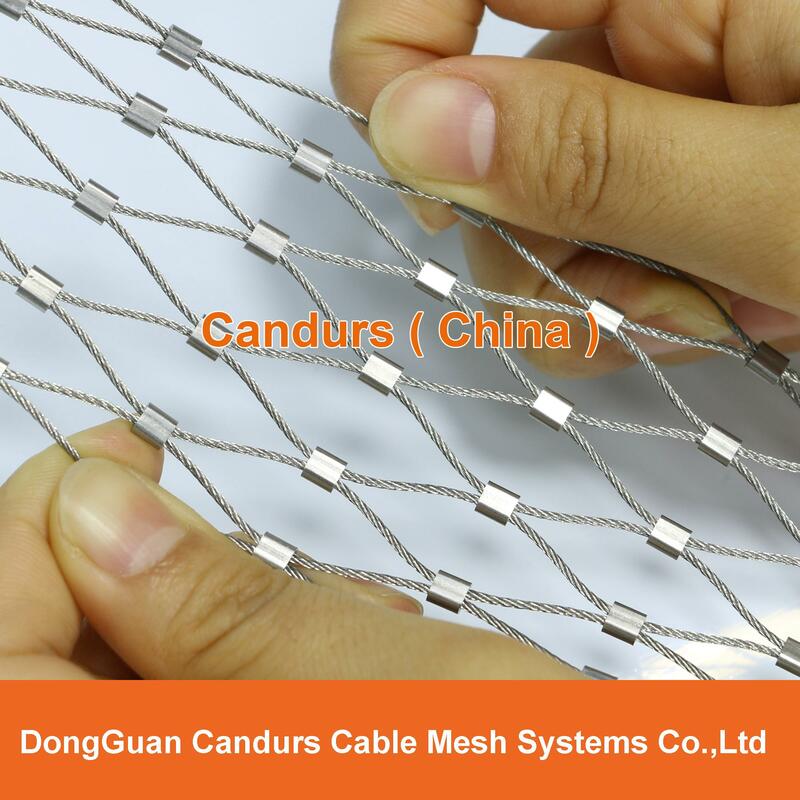 Candurs is a professional stainless steel wire rope mesh manufacturer in China.experienced in providing DecorRope and WovenRope stainless steel cable mesh for all kinds of decorative & architectural mesh screens and other necessary security application.Customizedmesh height and length.